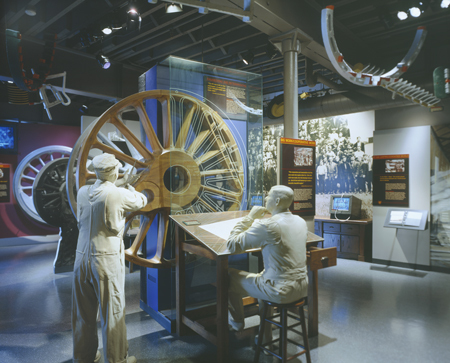 The Railroaders Memorial Museum in Altoona, PA has undergone one of the most public airings of an organization&apos;s inner workings that one can imagine. Yet, 3 years after the dire financial condition at this institution was first made public, the Museum is now open for the 2005 season. What follows is how we found ourselves in such a tenuous situation and, more importantly, what we learned from being there. 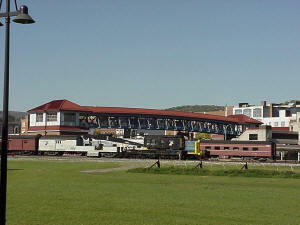 It will be very beneficial for you to understand where the Railroaders Memorial Museum comes from. While the building everyone equates with the Museum today, the 123-year old former PRR Master Mechanics Building, opened in April 1998, the Museum is nearly 33 years old. Chartered as a not-for-profit, 501c3 organization on October 30, 1972, the Museum was the brainchild of a group of Altoona citizens led by Mr. Ray Garvin. Mr. Garvin was not a native of Altoona but understood the hurt felt by the local population when Altoona was passed over as the site of the Railroad Museum of Pennsylvania in the 1960s. The architect&apos;s drawings of that proposed facility are in the Museum collection. The Museum was to be housed in a combination of the former PRR Test Plant building and a new facility to be constructed on the property now occupied by the Station Medical Center, just next door from where the Museum was eventually built. 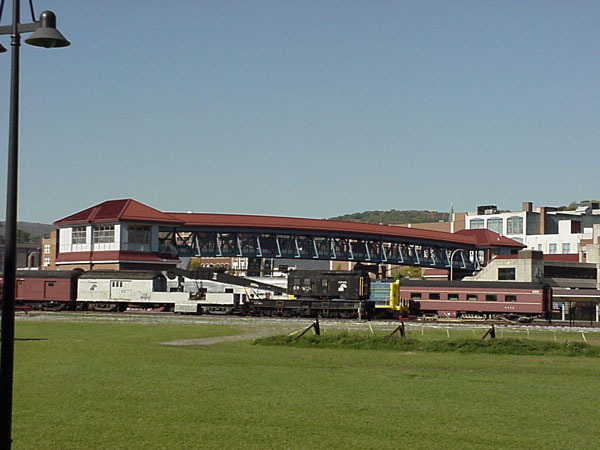 After nearly decade of fundraising, aided by a requirement by the Altoona Redevelopment Authority that the owners of the then newly-constructed Station Mall property donate 5 acres of ground to the Museum committee, the Railroaders Memorial Museum opened in a 10,000 square foot building at the corner of 13th Street and Ninth Avenue on September 21, 1980. There the Museum lived until that day in April 1998 when the organization took that giant leap forward with the opening of the Master Mechanics Interpretive Center. After 3 years of planning and renovation, the Museum went from an organization that started with $4,000 per month in total operating expense to one with a $4,000 per month electric bill. "After 3 years of planning and renovation, the Museum went from an organization that started with $4,000 per month in total operating expense to one with a $4,000 per month electric bill." All photos courtesy of the Railroaders Memorial Museum. It is important that you understand the history as to not make the mistake of thinking that this was an organization with no operational track record. Not so long before April 1998 came along, the Museum helped make ends meet by doing things such as manning the front desk on weekends with Board Members who took turns working on Saturdays and Sundays. This is one example of the type of practice that fell by the wayside when the new Museum became a reality. The reality quickly became that $5,000,000 in capital funding was not going to pay to heat and cool the building once the contractor left the site. The Museum hemorrhaged from the very first day it opened in April 1998. Lack of an operating endowment and 20 years of little work being done to make the Museum the beneficiary of local resident&apos;s planned-giving and other estate planning decisions just added to the problem. Just when much of the "old money" in Altoona railroading history was being probated, the Museum had to live with the fact that not enough had been done to previously win the hearts and minds of those aging and passing donors. Those estates that did give unrestricted contributions to the organization saw the money eaten up in covering operating costs rather than having the gift live on in perpetuity through the management of an endowment. Six-digit losses piled on year after year and in May of 2002, just 4 years after opening the front door for the first time, the Museum bank account and line of credit couldn&apos;t take it anymore. The method of accounting being used and the manner in which those statements were prepared and presented did not give the Board the necessary tools to make informed financial decisions until it was too late. It was May of 2002 when I received my first phone call about the Museum situation. I was President of an organization known as the Altoona Chapter of the Institute of Management Accountants. It is a group comprised of many of the CFOs, Controllers, Finance VPs, etc in the Blair County, Pennsylvania area. I was asked to attend a meeting with the Museum Director and Finance Officer. After the meeting I knew why we were told little in advance. I&apos;m not sure how many of us would have attended if we knew beforehand what we came to know during the meeting. The Museum was days or hours from closing. Withholding taxes couldn&apos;t be paid, utilities were going to be shut off, nobody would stock the Museum Store with product, and the bank was calling the line of credit due and payable. Our group took a hard look at the financials and made some immediate cost cutting recommendations. Luckily, being late May, the Museum was entering its busy season and cash flow was certainly going to improve in the short-term. Shortly after the initial meeting of the "crisis committee," I was approached to take an even more active role in the Museum&apos;s activities. The Museum Board was asked at the May 2002 meeting to resign en masse. It was felt that in order to right what was wrong, it was easier to ask everyone to step down and reorganize from the bottom up rather than ask certain individuals to go and others to stay. This left a 3-person committee to govern the Museum in the interim. What they needed was a 4th person to act as an interim Board Treasurer. I was asked by the interim President if I would serve in the Treasurer&apos;s capacity. I agreed, even though I knew the gravity of the Museum&apos;s finances. I approached my boss about spending some time at the Museum. As a gracious supporter of both the Museum and other community organizations, he agreed to give me time during the day to see what I could do to correct the situation. I was Chief Financial Officer of The Hite Company, a regional leader in the electrical wholesaling industry at the time. Also convened during that time was a Marketing Committee to work on how the Museum message and fundraising appeal would be taken to the public. I was given day-to-day authority to "run" the Museum and most operational decisions made from that point on were made by me, with assistance from the other 3 members of the interim committee, and enacted by the existing staff. Not that there was much staff. I won no popularity contests when I first arrived at the Master Mechanics Building. An organization that opened in 1998 with over 30 employees had dropped to 19 by 2002, and then, between decisions I made and consulting decisions made by The Westsylvania Heritage Corporation, the staff had been trimmed to 11. This was the single largest cost-cutting decision made. The summer of 2002 was a productive one. The public responded fairly well and rapidly enough to have the Museum survive for the 100-day "busy season." One big hurdle remained. 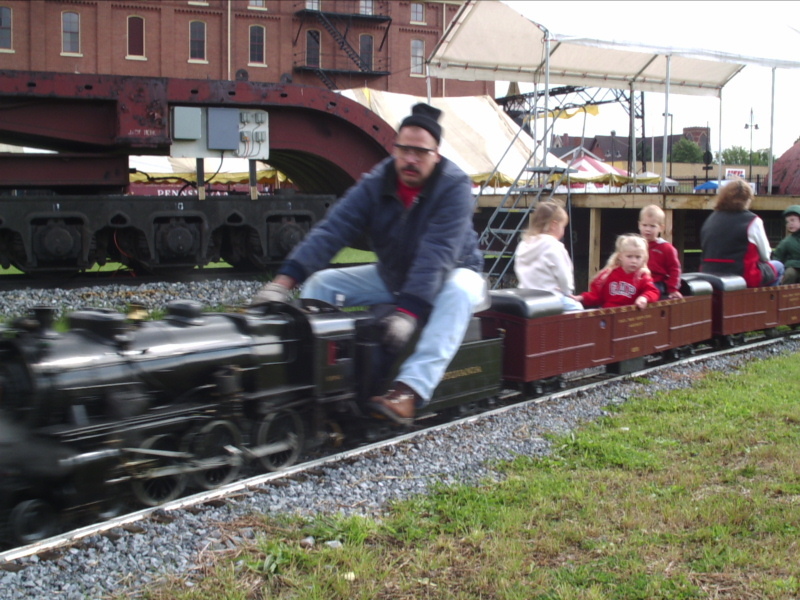 Railfest was the largest event on the Museum calendar every year and was responsible for a large portion of the revenue raised each season. How was the Museum going to pull this event off given the diminished capabilities of the reduced staff? "Railfest was the largest event on the Museum calendar every year and was responsible for a large portion of the revenue raised each season." The Railfest committee went to work feverishly to make the event a success. One component was the continued cooperation of Norfolk Southern Corporation in allowing us to run our annual excursions on Horseshoe Curve. The other key to the event was the involvement, support, and unselfish dedication of the Juniata Terminal Company. Had Bennett and Eric Levin not taken care of many of the equipment and logistical arrangements, the Railfest excursions would never have taken place. This would have sounded the death knell for the Museum as there would have been no funds in the bank account to see the Museum through the winter. "Had Bennett and Eric Levin not taken care of many of the equipment and logistical arrangements, the Railfest excursions would never have taken place." As it was, things were going to be tight over the winter. I made what was an unpopular decision to some, but one that I felt was necessary. The Museum had never closed over the winter months although the Visitor Center at Horseshoe Curve, also a Museum responsibility, was always closed during the winter quarter of January through March. The Museum always ran a deficit during that period of the year and, starting six-figures in the red every year, was never able to climb out of that early-season hole. I made the decision that the Museum would be closed except for group tours during the first quarter of 2003, and each year thereafter. This decision ultimately saved the Museum over $100,000 that first winter. As winter approached, my status once again changed. The other 3 members of the interim board asked me if I would consider resigning my CFO position at The Hite Company and taking the job of Executive Director of the Railroaders Memorial Museum and the Horseshoe Curve National Historic Landmark. After taking 10 minutes to think about it and giving my current employer 2 weeks notice, I found myself behind the Director&apos;s desk at the Museum. My training is not in Museum Studies. I have an accounting degree and have spent my entire adult working life as an Air Force Budget Analyst and private sector Controller/CFO. I set to work with one goal in mind. Make the prudent, although sometimes painful, financial decisions that would keep the Museum open but do it in such a way as to make what was going on as invisible to the visitor as possible. That has been an overriding theme during the 3 years we have been trying to make things financially stable in Altoona. (Subsequent audits by our outside CPA firm and the IRS uncovered no evidence of fraud, simply a case of revenues not meeting expenses.) Make the changes that need to be made but don&apos;t detract from the visitor experience. If the choice was remodel a bathroom or provide cell phones to staff, the decision was an easy one. Provide a bright, clean, and hopefully interesting place for visitors to enjoy themselves. Many of the initial decisions related to getting our expenses under control were made using a simple cost-benefit analysis. The Museum was in no position to fund "nice to have" items. The priority had to be the "need to have" items. My position and the position of the interim Board was that as stewards of "public" money, both government and private funds, great care should be exercised over how it was spent. It should be spent to support the "public" face of the Museum. What was the return on the investment of funds towards a particular issue? Sometimes that return is easily measured as income; spend money to make money. However, sometimes the return is more indirect. Money that builds longer term business relationships that will benefit the organization in the future is also well spent. The single most important tool to move the Museum forward was an operating budget; a budget that was realistic and enforceable. Without someone who is responsible to track actual verses budgeted figures in a timely enough fashion to make changes, the budget process is a waste of time. Line by line, the budget was examined to root out waste. More importantly, the revenue side of the budget was examined for opportunities. Expenses were approved based on the income categories they supported. For example, if your budget calls for an increase in attendance, then the expense side of the equation should contain appropriate levels of funding in marketing and advertising to support it. If the desire is higher levels of membership, then the expense budget should contain allowances for things such as printing and postage. Too often, the revenue and expense budgets in an organization are created independently of each other and do not reflect the same priorities. I examined every recurring expense the Museum had. Where we could do without, we did without or we replaced the paid service with that of a volunteer. Nothing was immune from scrutiny. Things as small as paid snow removal service was stopped and replaced by volunteer labor. Instances of poor facility design such as separate admissions and store checkouts were changed cutting staffing costs in half. 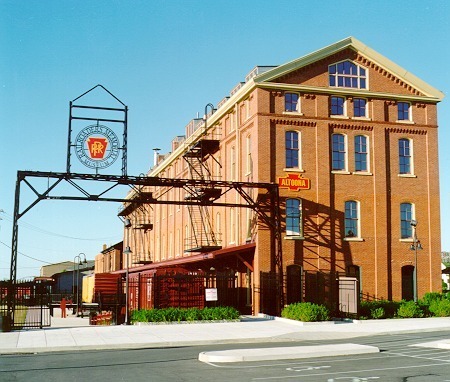 The original Museum building, closed to the public, non-productive, and used for storage was reopened, remodeled and made available for banquets, wedding receptions, and meetings. These sorts of changes, while small individually, added up to tens of thousands of dollars per season in new revenue or reduced cost.. We went back to school on the building&apos;s HVAC system and found ways to improve our efficiency saving thousands of dollars per heating and cooling season. We examined visitor numbers and decided what adjustments needed to be made to our operating hours. Perhaps the biggest change was that of what I will refer to as organizational attitude. The newly formed Board of Directors, along with my staff and I, saw the need for the Museum needed to present itself in a new light. Try to remove the impression, first, that we were a collection of dirty, rusty old railroad relics stored in acid free boxes not on display for the public to see and, second, become what we felt was necessary for survival. We needed to be less a "museum" and more a tourist attraction; at least in attitude. Nobody was beating down our doors to come do research in our archives. Nobody from academia was huddled at a table wearing white gloves examining our collection of artifacts. We had to begin attracting mom, dad and the 2.5 kids to come enjoy our facility. We began this quest by trying to get locals to attend. The vast majority of our visitors were, and still are, from out-of-town. Nearly a full 80% of them, in fact, drive more than 60 minutes to get here. However, we needed the support of the local residents, which in turn meant the support of the local business community. We did this very successfully with an aggressive special events calendar. The Museum hosted very few special events in the past. Railfest was a staple as well a visiting model train display and some recurring holiday events. However, we opened the special event offering up to appeal to those people who might not otherwise feel they had an interest in railroading. Sadly, there are not enough pure railroad enthusiasts to live by their money alone. We needed to attract the local public and find ways to get them back to the Museum as repeat customers. "Our events started to include things like our annual Firefighter&apos;s Festival." Our events started to include things like our annual Firefighter&apos;s Festival. We fill the lawn and parking lot of the Museum with fire apparatus from departments all over Central Pennsylvania. What does this have to do with a railroad museum? Frankly, not much. But it does have everything to do with a RAILROADER'S Museum. This Museum has always been about the people, not the "things." It is the sort of event that attracts people who would not otherwise set foot on the property. Once inside the fence line, we give them the opportunity to see the Museum and they invariably enjoy it. We also try to make some connection to the railroad story. 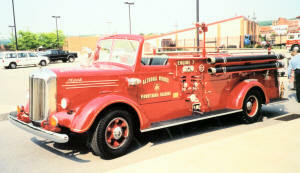 In this case, we put a temporary exhibit detailing the history of local railroad firefighting in place. We repeated that model with event after event. We turned the 20,000 square foot lawn in front of the Museum into a center-city public gathering place. We installed a stage on the 120 foot-long depressed center flat car in our collection. Now, organizations in the area that never had a working relationship with the Museum use the stage and yard to host all sorts of events. The Museum itself is now the site of receptions, office parties, lectures and a myriad of other gatherings that have no particular railroad history purpose whatsoever other than to fulfill our mission of educating the public about the railroad&apos;s place in local and national history. The Master Mechanics building was covered in signs that said "No Food or Drink Past This Point". Those signs are gone. The building is rented by local companies, by groups in town using the local convention center, the local Chamber of Commerce, and many others who are looking for a unique venue to host an event. The organization has received some criticism for hiring an accountant to sit in the Director&apos;s seat. It was felt that the Museum&apos;s educational mission and the presentation and conservation of the collection might suffer. There was a feeling among some that I might make decisions solely based on the financial implications and not what would be good for the Museum&apos;s mission. My feeling is that you will forever run the risk of not being able to present any mission without first examining the financial implications of what you are doing. We set out from the beginning to, at worst, make what the Museum was going through invisible to the visiting public. I think we did that. In fact, I think we have been able to make decisions that are not only prudent financially, but have enhanced the visitor experience at the same time. We listen to our visitors. We try to provide them material they are interested in seeing and experiencing while keeping true to our mission statement. "We have embarked on a program to develop new exhibits in the building." We have embarked on a program to develop new exhibits in the building. Most of the Museum had not been updated since opening in 1998. We are trying to change that. Much of the rolling stock outside had been, at worst, neglected, and at best, ignored, for years. Progress is slow but we are also trying to remedy that unsightly situation, a product of a poor accession policy and no funds for upkeep, by thinning the collection that doesn&apos;t meet our mission and concentrating on the conservation, restoration and interpretation of the rest. "Much of the rolling stock outside had been, at worst, neglected, and at best, ignored, for years." Our approach has been to keep our operating budget at a manageable level and broaden our offerings to include the casual and heritage tourist. This endeavor in its most basic form still has to be about making revenue equal expense. While I want the same railfans visiting us that visit the facilities at the Railroad Museum of Pennsylvania and the B&O Museum, I also want the same people visiting us that are visiting Hershey Park and the Liberty Bell. We can&apos;t make ends meet any other way. The development landscape has changed. There are too many nonprofit organizations representing good causes competing for dollars that get more limited every year. We still chase our share of government grant dollars, but those dollars represent less than 10% of our operations budget; down from the 30 and 40 percent during the height of the financial crisis. We need those dollars desperately and do rely on them to help us make ends meet. However, we refuse to put ourselves in the position where those public dollars determine life or death at the Museum. We need to have a plan in our back pocket to survive if some year the government faucet is turned off. The effort has been monumental and I could not have come through it without the support of my staff, my Board, and the support of the local business community. Most of all, we can&apos;t continue to make it without the support of the visiting public. The Museum has had visionary leaders from Ray Garvin to former Director Peter Barton. Each brought a certain talent to the task at hand. I&apos;m pleased to be lending my particular talents to effort today. The visitor drives everything we do. I expect my staff to ask themselves one question every time they budget how they propose to spend their day. Is what I&apos;m about to do going to enhance the visitor experience here? They know what to do if the answer is no.